Even after he was out of prison and retired, Johnson wasn't forgotten. 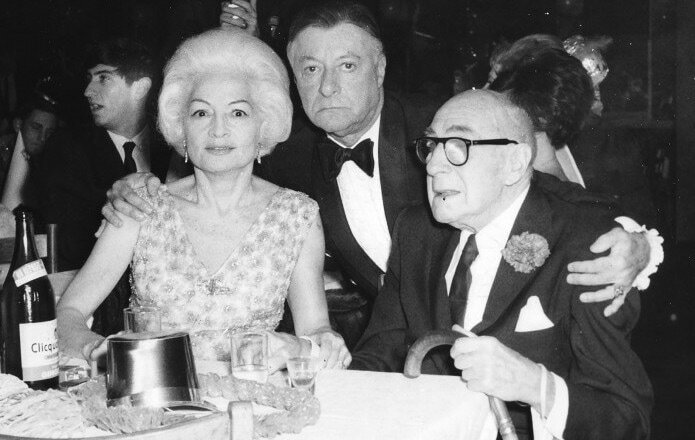 Here, he is pictured with his wife and entertainer Georgie Jessel. A handcuffed Johnson is led to prison. Johnson was paroled on Aug. 15, 1945, after four years in prison, and took a pauper's oath to avoid paying the $20,000 fine (equivalent to about $270,000 today). After his release, Johnson lived with his wife and brother in a house owned by relatives of his wife on South Elberon Avenue in Atlantic City. He took a job in sales for the Richfield Oil Company, and, with his wife, for Renault Winery. During these years, Johnson and his wife would sometimes attend local political dinners or rallies, where they would be seated at the head table. He continued to dress impeccably, including a red carnation in his lapel. Johnson steadfastly supported Farley's leadership, and in 1952, when Farley faced a particularly strong election challenge, Johnson campaigned on his behalf in Atlantic City's predominantly black Northside area, where Johnson remained popular. Johnson shortly before he entered the nursing home. He is sporting the ever-present red carnation. Johnson died of natural causes Dec. 9, 1968, at the Atlantic County Convalescent Home in Northfield, N.J. 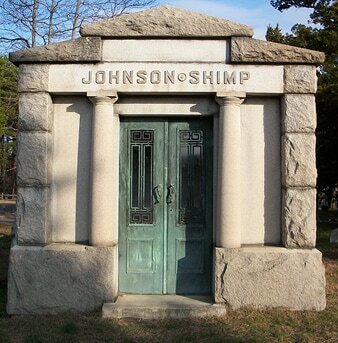 He is buried in Zion Cemetery in Bargaintown, N.J.
His wife died in 1971. Both his wives names are listed on the burial vault.